Mobile scouting at your fingertips. 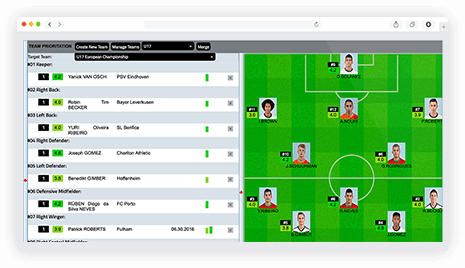 Scout Universe is your digital scouting tool whether you work on your own or in a club. 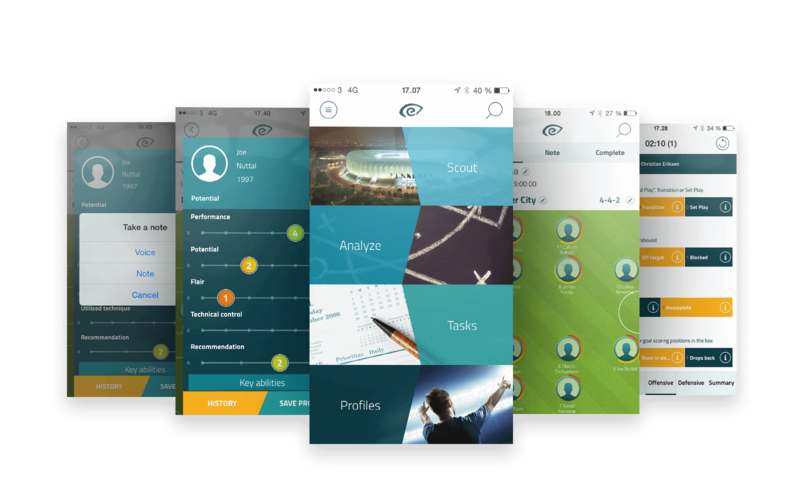 With the 4Scout app, you have got your digital notebook at your fingertips and with the app you can scout players with the club’s or your own tailored talent IDs and with your own notes and memos. 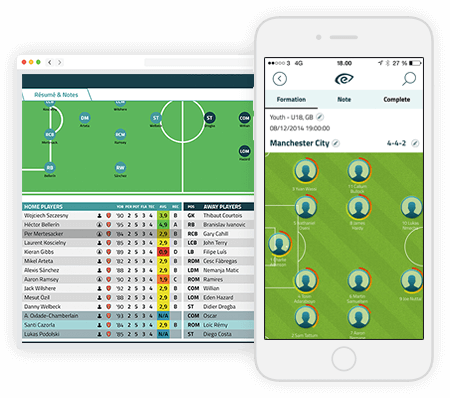 Planning your work happens either on the platform or on your mobile device which simultaneously serves as your mobile player database where you can easily search for and browse through scouted players. 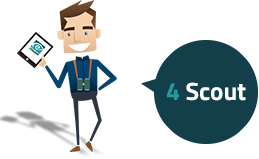 Scout players out in the open with our 4Scout app. Digitalize notes, record voice memos and assess players on the base of predefined talent IDs. Gain access to the your own or the club’s player database and work offline anywhere, anytime. That is what we call mobile simplicity and offline availability. Upload your work as soon as the referee blows his whistle for the last time and avoid duplication of your notes and losses of important data. You can finish off the individual player reports or the full match report and make it available to those who you work with in the platform. 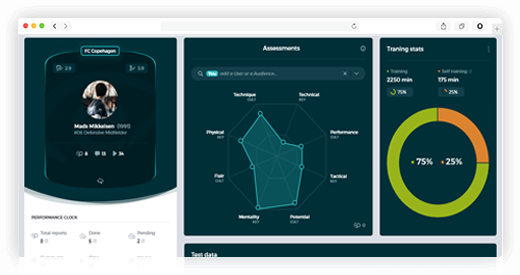 Search among all scouted players and compare their performance and potential against each other in visual spideweb and from position-specific talent IDs. Easily switch between multiple players, external and or internally and compare up to three at the same time. Plan and organize in one spot. 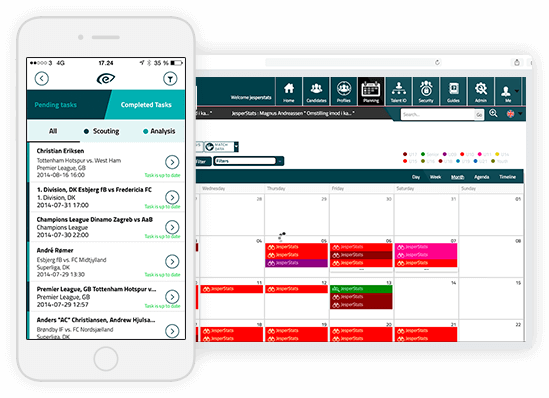 Assign and send tasks directly to yourself or your scouting colleagues’ mobile devices and secure an overview of pending and finished reports in your own or the club’s calendar. Effective scouting starts with knowing your own organization. Use shadow teams to do qualified comparisons of home-grown players and promising players from other clubs. This way around, you can increase the possibility of getting successful in recruitment.